DGA — Tirschwell & Co. Inc. The owner of DGA Security decided to move into a 44,000 sq. foot building to consolidate his sales, installation, service and executive areas, which were spread out over multiple properties. 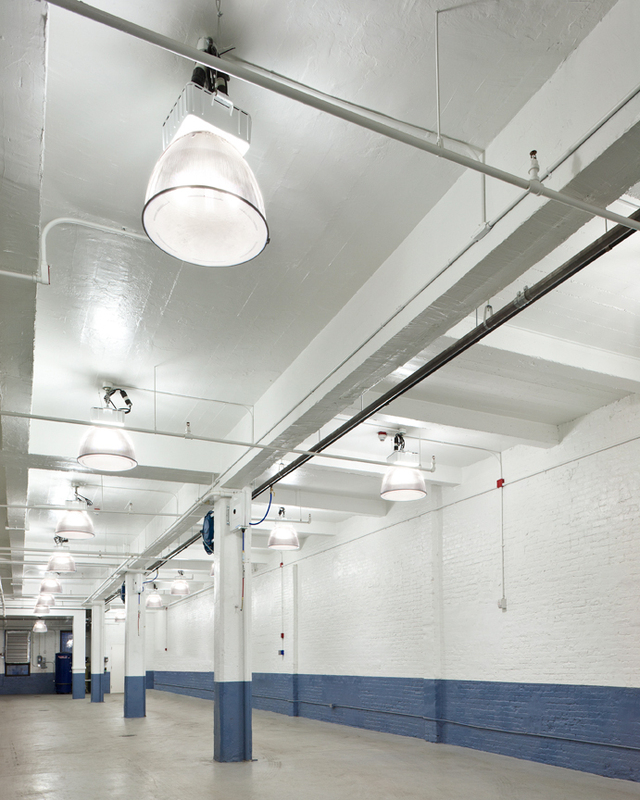 Low ceiling heights, ample visible ductwork, and a rigorous timetable were all factors in the design, which provided opportunities for both “off the shelf” and custom luminaires. An understanding of their operations allowed us to design specific controls to address their opening and closing needs, including the service trucks that would roll out each morning.